23 August 2018 // IF is very happy to see the professional development of Rebecca Alitsi, from the United Disabled Persons of Kenya and former IF fellow. She has been selected as one of the co-facilitators for a workshop on ensuring the rights of indigenous persons with disabilities in line with the UN Convention on the Rights of People with Disabilities (CRPD), in connection with the UN Declaration on the Rights of Indigenous People (DRIP), and the Agenda 2030. 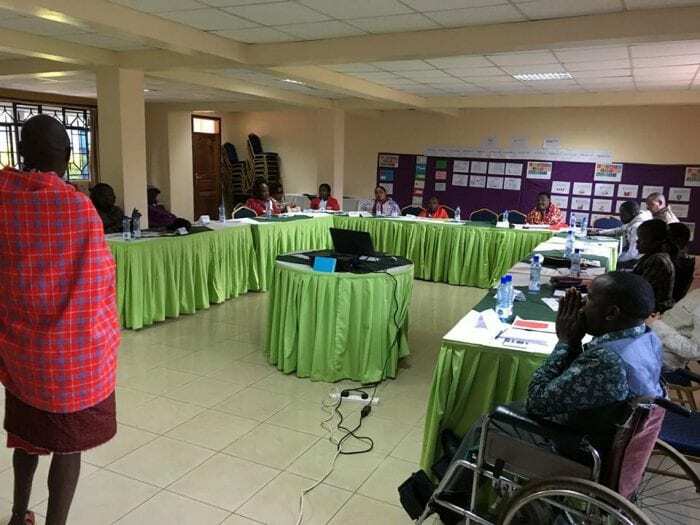 This workshop is being hosted by the Indigenous Persons with Disabilities Global Network (IPWDGN), the Narok South Disability Network and the International Disability Alliance (IDA) and supported by the Disability Rights Advocacy Fund (DRAF) and MFA Finland. The event takes place from 20 to 23 August in Bomet, Kenya and there will be representation of organisations of indigenous persons with disabilities (IDPOs) from different countries, including indigenous persons from different constituencies with psychosocial disabilities and deaf people.